In a previous post, I talked about the satellite CAS-2T on a recent Chinese launch. CAS-2T was designed to remain attached to the upper stage of the rocket and decay in a few days. However, due to an error in the launch, the upper stage of the rocket and CAS-2T where put on a long-term 1000km x 500km elliptical orbit. A few days after launch we learned that another satellite, called KS-1Q was also attached to the same upper stage of the rocket. This satellite transmits telemetry on the 70cm Amateur Satellite band. I haven’t been able to completely decode telemetry from KS-1Q yet, mostly because the satellite team hasn’t given many technical details about the telemetry format. There is a technical brochure in Chinese, but it is not publicly available. I have asked the team if they could send me a copy, but they haven’t replied. Here I report my findings so far in case someone finds them useful. Some fellow Spanish Amateur Operators were talking about the use of the Opera mode as a weak signal mode for the VHF and higher bands. I have little experience with this mode, but I asked them what is the advantage of this mode and how it compares in sensitivity with the JT modes available in WSJT-X. I haven’t found many serious tests of what is the sensitivity of Opera over AWGN, so I’ve done some tests using GNU Radio to generate signals with a known SNR. Here I’ll talk about how to use GNU Radio for this purpose and the results I’ve obtained with Opera. Probably the most interesting part of the post is how to use GNU Radio, because it turns out that Opera is much less sensitive than comparable JT modes. Last Thursday, a CZ-11 Chinese rocket launched from Jiuquan. Alan Kung BA1DU posted in amsat-bb some minutes after launch saying that this launch contains an Amateur payload: CAS-2T. As it is usual with Chinese Amateur satellites, little information is available publicly and we hadn’t heard about CAS-2T before. According to BA1DU, CAS-2T is a 2U Cubesat with a CW beacon on 70cm and a V/U FM transponder. The satellite will not separate from the upper stage of the rocket, so it will decay between 10 and 30 days before launch. However, this is not correct. After launch, CAS-2T was identified as object 2016-066E by Mike Rupprecht DK3WN using Doppler measurements. This object is on a 1030km x 500km elliptical orbit, so it will not decay soon. Apparently, due to a problem in the launch, the upper stage of the rocket has being put in this 10 year+ orbit. Indeed, there are radar TLEs for 6 objects from this launch. Four of them are on circular orbits of roughly 500km height, while the other two are on elliptical orbits of 1030km x 500km radius. All of these orbits will last for many years. Reports of CAS-2T from Amateurs worldwide agree that the CW signal has good strength, but it suffers much fading. Unfortunately, the FM transponder does not function properly. It seems to respond well to an uplink signal, but it doesn’t modulate properly, as if it lacked power or suffered some other problem. On Friday afternoon, I took an SDR recording of the CW and FM signals of CAS-2T during its orbit 25. Here I show some measurements of these signals. The recording was done with a 7 element yagi and a FUNcube Dongle Pro+, and it has been Doppler corrected using the TLE for object 2016-066E, which gives a very good match. I have published a post in the GNU Radio blog about my reverse engineered GNU Radio Outernet receiver gr-outernet. I cover more or less the same information as in a previous post in this blog, but I include lots of screenshots. Many thanks to Ben Hilburn and Johnathan Corgan for contacting me to write this post in the GNU Radio blog and for their useful suggestions. 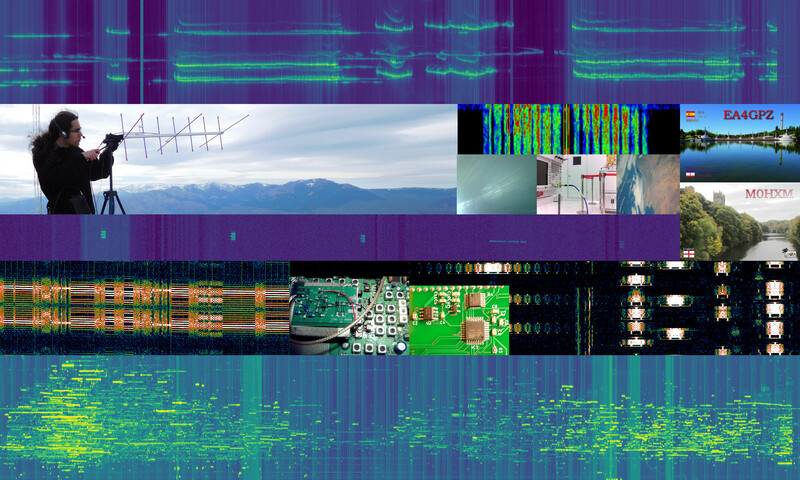 Head over to the GNU Radio blog and read the post: Reverse-engineering Outernet.